The National Cherry Blossom Festival concludes with a bang on April 6. Petalpalooza, formerly known as the Southwest Waterfront Fireworks Festival, is one of the highlights of the National Cherry Blossom Festival. 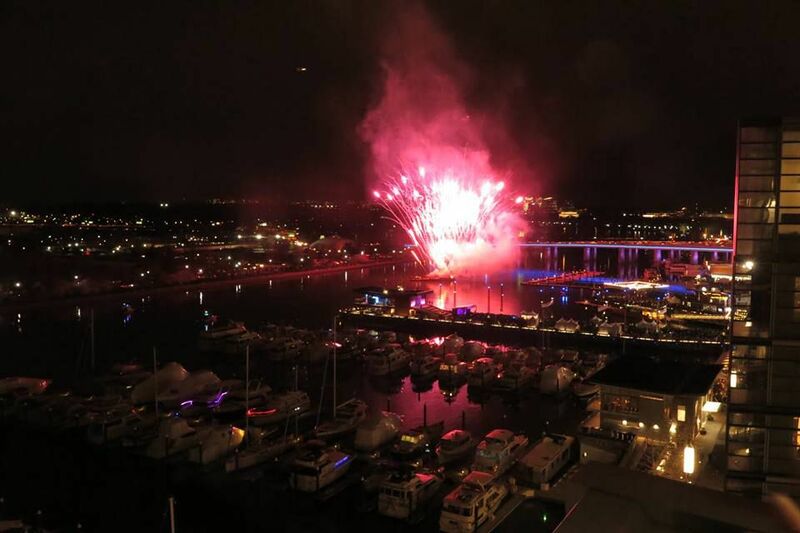 This rebranded, family-friendly event recently moved to new waterfront development The Wharf, with fireworks bursting above the Washington Channel. On the piers of the Southwest Waterfront, celebrate spring with activities and events like live music on multiple performance stages, food trucks, a beer garden, family activities, craft activities, games, and many more activities including the fireworks show to end the evening. The fireworks display may be viewed from all locations within the event, but the best views are found in Waterfront Park closest to the Titanic Memorial or from East Potomac Park. Although it's just a small part of the National Cherry Blossom Festival, the Southwest Waterfront Fireworks Festival is certainly a spectacle! In 2019, the event falls on April 6 with entertainment starting from 1 p.m. to 9:30 p.m. and fireworks beginning around 8:30 p.m. The Wharf is located near 600 to 650 Water Street Southwest in Washington, D.C., with a garage off Maine Avenue SW. Attendees are encouraged to take public transportation. The closest Metro stops are L’Enfant Plaza or Waterfront-SEU. There are also Capital Bikeshare stations located near The Wharf too. For tips on getting to the other cherry blossom festival events, check out these Cherry Blossom Festival transportation resources. When the cherry blossoms begin to bloom in the nation's capital around late March, fundraising events and special occasions are already in full swing. On March 22, 2019, the festivities kick off with the Pink Tie Party Presented by Ana, a fundraiser benefiting the festival that offers guests samplings of D.C. cuisine, an open bar, and live entertainment while mingling with over 800 local influencers and trendsetters. Festival Night at the Cherry Blossom Pub on March 20, 2019 is another fundraiser that invites guests to enjoy the elaborate decorations and specially-designed cocktails for an evening of mingling with Washington's most influential. The official opening ceremony for the 2019 National Cherry Blossom, though happens on March 23, when world-renowned performers like Pretty Guardian Sailor Moon The Super Live, The 6821 Quintet, Ikuko Kawai, and Yusaku Mochizuki will perform traditional and contemporary pieces at the Warner Theatre. Other events occur throughout the rest of March and half of April. Be sure to stop by some of the Japanese heritage exhibits and festivals throughout the month if you're visiting Washington, D.C.